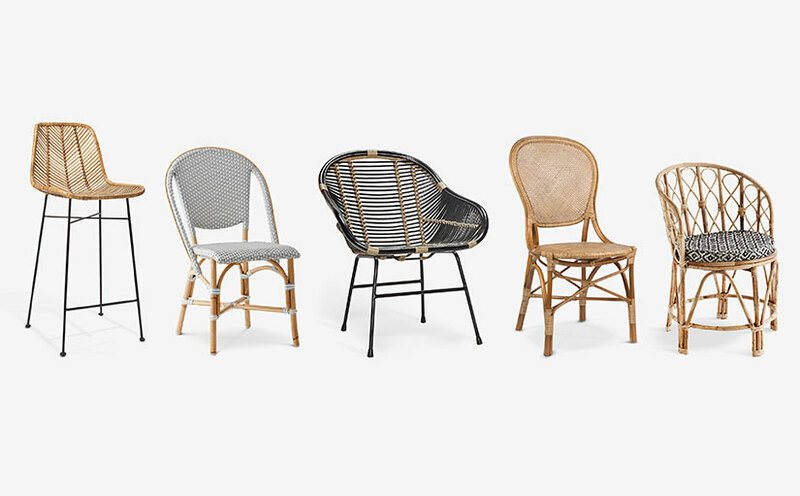 We are passionate about design and obsessed with scale, detail and just making things look good together. We wanted to share some of our successes with you and this is our first blog about perfect pairings! As designers, we think there is a gap in the market for a good looking and functional bedside so we designed our own collection! 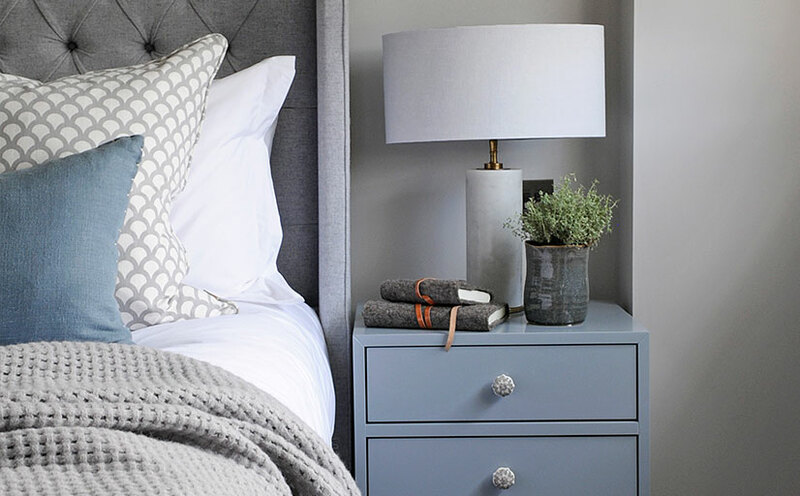 What every bedside needs are the perfect light and here a few suggestions of how you could transform your bedroom. 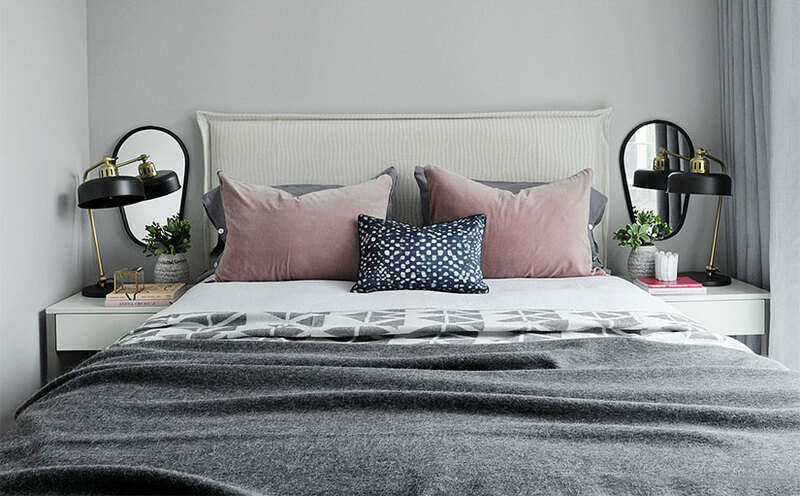 This petite but perfectly formed pair proves that small spaces can be super stylish too! The Space Saver Bedside Table has an up and over minimalist design for a neat addition to tight bedrooms, meaning you can spare more floor space for the bed. 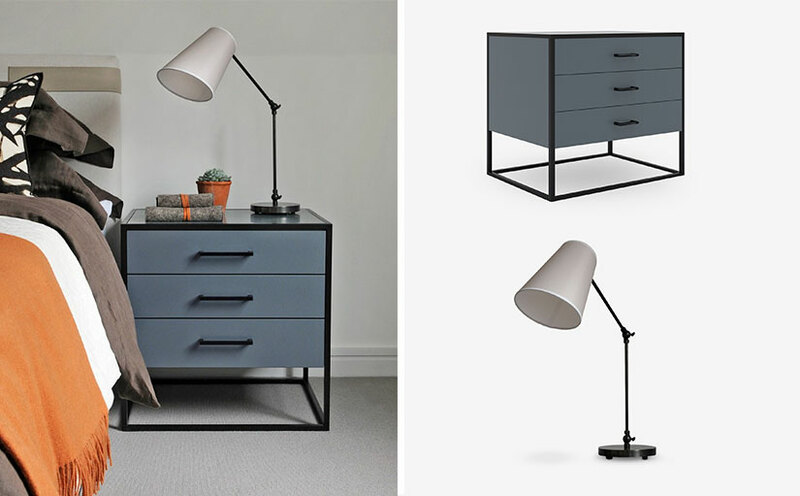 A lamp and shade would overcrowd the modest tabletop, but the Bright Spark Table Lamp has a compact clutter-free shape, with enough illumination from the exposed bulb for bedtime reading. We love the contrast of it’s concrete and brass texture alongside the luxurious lacquer of the table. 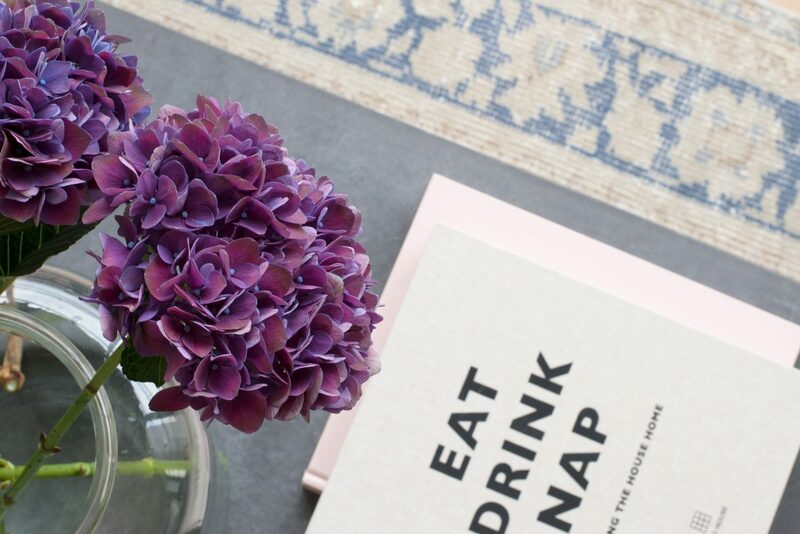 Update your city dwelling with this stylish twosome. Ticking the industrial trend boxes, both feature dark metal frames (as well as matching handles on the table) for a striking sense of space. 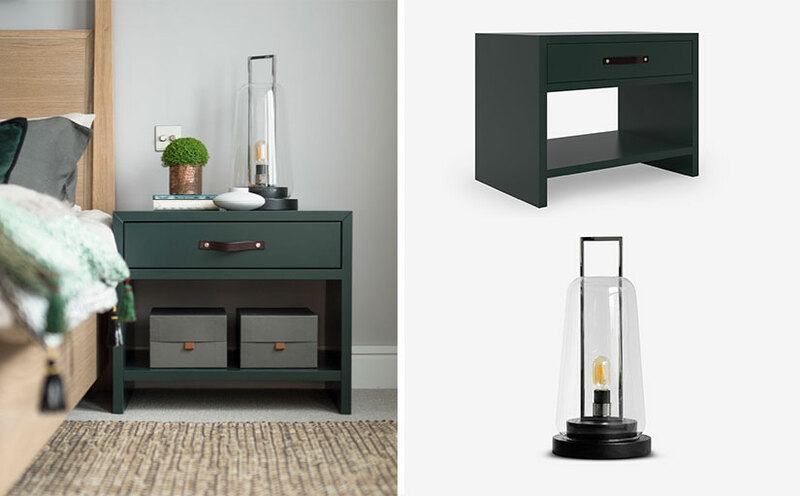 The Off The Floor Drawer Bedside Table comes in three colourful lacquers including blue-grey, deep red and forest green for a bold statement, or pick a natural timber finish for Scandi styling. 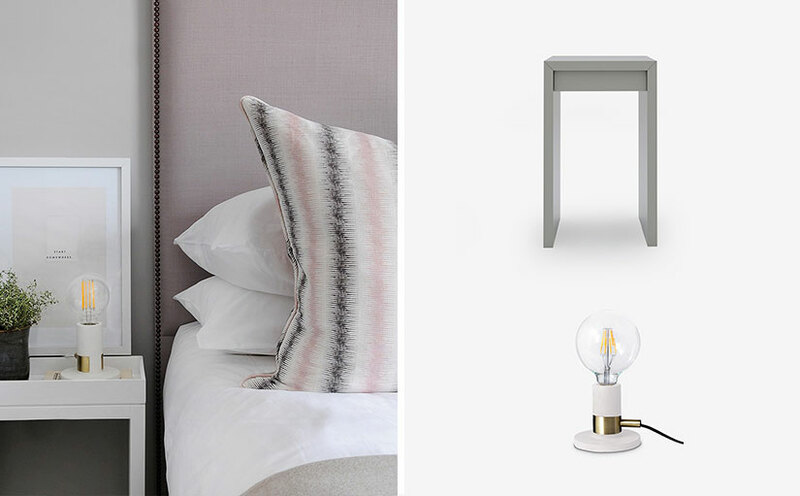 Soften the wide drawers with the oyster linen shade of the Angled to Light Table Lamp, which has a subtle pink hue for a more delicate touch. 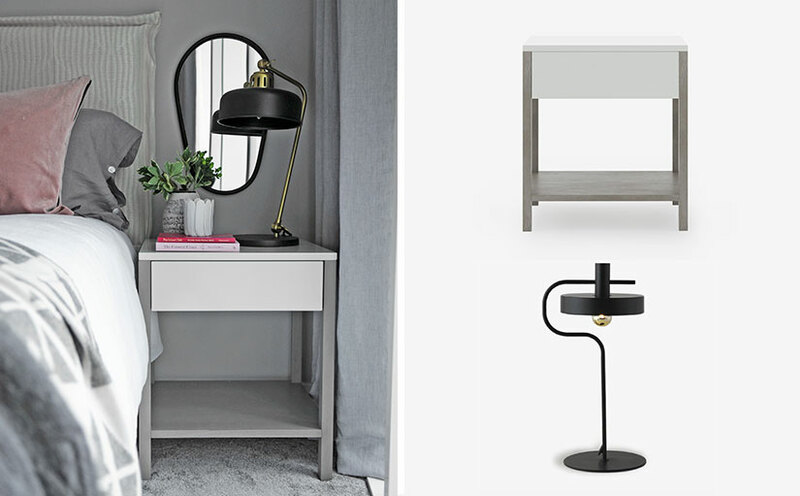 Keep things simple in the bedroom with this perfect balance of classic and contemporary. The Petite Store Bedside Table has a simple design with a discreet top drawer and open shelf for a light feel. Accessorise with the eye-catching Wave Table Lamp, which is crafted from industrial matte black metal with a curved wave frame to break up the straight lines below. Choose the table surface in a number of finishes to sit on top of the natural timber legs, but we love it in pure white lacquer for a clean contrast. For interior lovers, we recommend this bold pairing of statement colour and unique design. The One Drawer Bedside Table comes in eight finishes, including three jewel shades ruby red, emerald green and inky blue with a smart woven leather handle for a tailored finish. In three generous sizes, it is wider than usual, perfect for larger master bedrooms and can carry off a quirky bedside light such as the Hurricane Table Lamp. This modern twist on a classic has a hand-blown glass shade and chrome handle with black timber base and exposed filament bulb for a modern look.